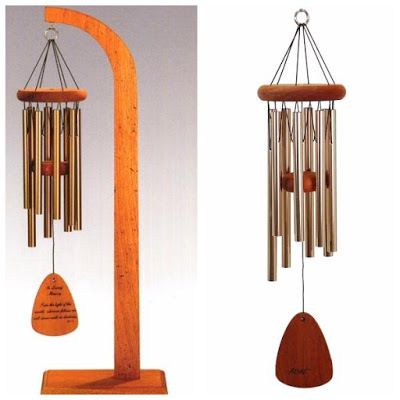 well it’ about to be replaced with the QMT Arias 24″ Windchime and Tabletop Display. This beautiful combination can be placed indoors or in a outdoor patio or garden setting. Bronze, Forest Green or Silver. around your home to melt away the stress of your day. come to a end at 12:00 AM (EST) 10/26/2016. Holiday Contest and Sweeps received a sample of this set for review purposes.